Are you new to town? Revisiting the great Pacific Northwest? Or sightseeing in the beautiful Seattle area for the first time? Here is a list of the top 10 must see attractions that are conveniently located in and around Seattle Southside! The historic Pike Place Market has been in business since 1907 and has attracted tourists from all over the world. It is a year-round farmers market that sells fresh local produce such as vegetables, seafood, fruit, cheese, flowers along with handcrafted artisan gifts. On a summer day, the market is filled with excitement and cheerful people busy looking at all the NW treasures. One of the more popular vendors is the Pike Place Fish Mongers who are famous for their fish throwing! It is very amusing to hear them sing as fish fly over your head. It definitely brings a fun liveliness to the market experience. For affordable transportation one option is the Central Link light rail which starts at the airport and it takes you to the heart of downtown (Westlake Center). This historical icon was built for the 1962 World Fair and is 605 feet tall, towering over the Seattle Center. This is a great location for tourists because there are a variety of things to see and do. The Pacific Science Center inspires interests in math, science, and technology by engaging diverse communities through interactive and innovative exhibits. The famous Chihuly Garden and Glass is also accessible by foot and offers the most significant works from the acclaimed glass blowing artist, Dale Chihuly. For transportation from Seattle Southside, you can hop on the Central Link (light rail) and then take the Seattle Monorail which takes people to and from Seattle Center and Westlake Center. With the conservation of historical aviation artifacts, the museum has been able to acquire a valuable collection relating to air and space history and technology. Pieces are displayed in an educational and entertaining manner, motivating the young while stimulating the adults. Exhibits explain the history of influential stories of flight to educate the public through tours, lectures, books, a variety of aviation special events, and publications. The central theme is based on “mankind’s dream of flying,” centering on the evolution of air and space technology. The Red Barn, which has sat on the land for 99 years, is the birthplace of The Boeing Company. The WWII Personal Wing of Courage, Airforce One, space shuttle trainer and F-18 cockpit are favorite exhibits. The museum is only a short drive away, being approximately 5.5 miles away from Seattle Southside. Hotel packages are available. Come to iFly Seattle to feel the thrill of indoor skydiving! It is the first all glass vertical wind tunnel in the world! It is safe for all ages (three and up with no experience necessary) but also challenging and realistic for skydivers (it’s rumored that Travis Pastrana of the Nitro Circus trained for his parachute-less skydive here). They provide great customer service in a friendly environment that encourages flyers to explore an incredible flying experience! The staff is highly enthusiastic but also keeps it safe, fun, and memorable. Washington state has the most extensive ferry system in the county and traveling throughout the Puget Sound is one of the prettiest ways to explore this great state. You can board any one of the ferries either by foot, bike or car. The ferry system takes you to Anacortes, Bremerton, Coupeville, Fauntleroy, Kingston, Mukilteo, Point Defiance, Seattle, Sidney B.C., Tahlequah, Bainbridge Island, Clinton, Edmonds, Friday Harbor, Lopez Island, Orcas Island, Port Townsend, Shaw Island, Southworth, and Vashon Island. From personal experience, Bainbridge Island is a great place to visit! The little town of Winslow is a 10-minute walk from the ferry landing. There you can eat at the restaurants and cafes, as well as go shopping at the cute boutiques. On your way back from the Bainbridge make sure you enjoy the spectacular view of the skyline as you approach downtown Seattle. 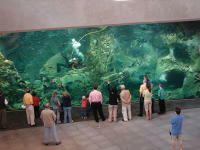 Rates are very affordable and departures are frequent, don’t miss this awesome attraction! MOHAI’s mission is to preserve, teach, and enrich the history of Seattle, the Puget Sound region, and the nation. It has grown into the largest private heritage organization, collecting over 4 million objects, documents, and photographs detailing the history of the great Northwest. The museum hosts a variety of award-winning youth and adult public programs that consistently collaborate with the community partners for local activities. When you visit make sure not to miss the Center for Wooden Boats, which displays more than 100 historic boats, a wharf, rental boats, and free vintage-boat rides on Sundays. 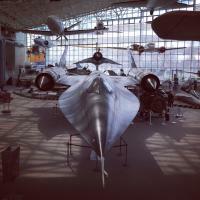 The museum is conveniently only a 20 minute drive from Seattle Southside. Every first Thursday of the month the museum stays open to 8pm and is free for all. Down at the pier there’s a large sidewalk along the harbor front that has shops, eateries, and tourists attractions like the Seattle Great Wheel, Seattle Aquarium and Ye Ole Curiosity Shop. The wheel is a 175-foot tall Ferris wheel with an enclosed gondola cabin, allowing for an amazing view of Elliot Bay, Olympic Mountains, and the city skyline. You can also purchase tickets for the Argosy Cruises that offer packages for sightseeing or dining experiences. Since Seattle is known for rainy weather, this is a great exhibit to visit on one of those days (or any other day, of course!). If you are interested in European master paintings, ancient Asian artwork, and even contemporary sculptures, visit the museum for beautiful pieces of fine art. It is located in the center of downtown and if you plan in advance, the first Thursday of each month is free! From Seattle Southside there are many ways of getting there, whether it is by car, the light rail, taxi, or bus. The waterfront is located on the east shore of Puget Sound and is about halfway between the major cities of Seattle and Tacoma. It is a short drive from Seattle Southside, making your travels quick and convenient. There is a recreational marina, boat launch, public beach and park, and pier fishing facilities. It is a great place to take the family or it can be a romantic destination to walk the boardwalk and watch the gorgeous sunsets (especially with the Olympic Mountains in the background and the sun hitting the water). Des Moines is a relaxing town to visit since it is right by the water. It is a great location because it offers amazing restaurants like Salty’s and Anthony’s Homeport which are very famous for their delicious and fresh seafood entrees. At Redondo Beach the MaST Aquarium is used as a marine laboratory for Highline Community College. Their mission is to expand knowledge about the Puget Sound and the wildlife that lives in the environment. If you are visiting during the summer time be sure to go to the farmer’s market which offers bountiful assortments of vegetables, flowers, meat, fish, fruit, honey, cheese, ready to eat food, crafts, information/education, and entertainment (open from June-October on Saturdays from 10:00-2:00)! The Future of Flight is located in Mukilteo (25 miles north of Seattle) and is the only public tour of a commercial jet assembly plant in North America. Visitors can see airplanes being built for their worldwide production and in addition explore the new aviation innovation designs. The experience given is to cultivate curiosity, stimulate imagination, and encourage creativity. The exhibits are interactive and are displayed in their 28,000-square-foot Aviation Center Gallery. There is also a 90 minute tour of the Boeing Plant where you can watch the assembly of 747s, 777s, and 787s.